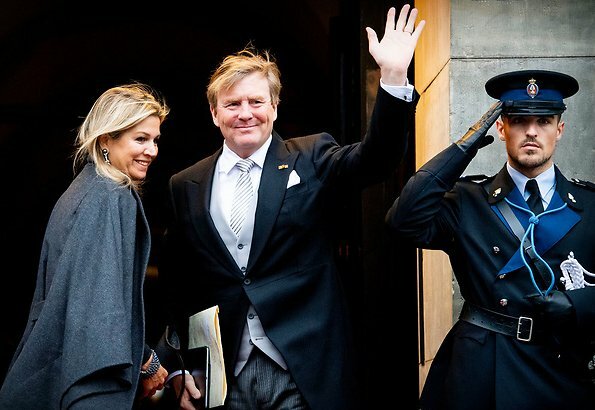 On January 16, 2019, Dutch King Willem-Alexander and Queen Maxima hosted traditional New Year reception for foreign diplomats and representatives of international organisations based in the Netherlands. The reception was held at Amsterdam Royal Palace. 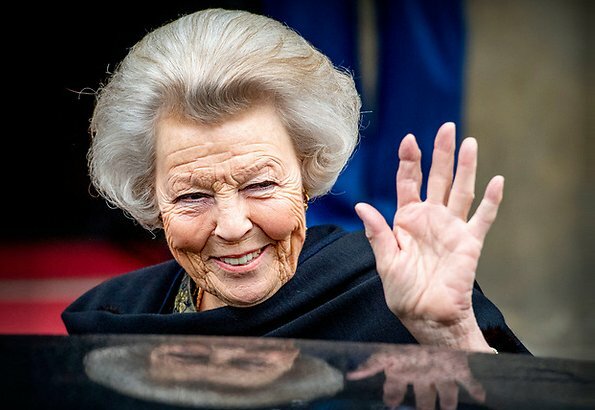 Princess Beatrix, Princess Margriet and Prof. Mr. Pieter van Vollenhoven were present at the reception. Omg that hair. I know it is the wind. But healthy hair doesn't look like straw with the wind blowing. Think Mary, Catherine, and Letizia. I am always confused as to why she seems to not recognize this with photos? I know her work is more important and I do love Maxima but still... she is a Queen. Her hair can ruin her entire look. And to make things worse Diane, is the wind! She knew it was windy outside so, why not wear a hat or an updo? This two-toned grey ensemble is super-elegant! And I like the way that Maxima wears her coat cape-style in the top photo, as I've often seen U.S. First Lady Melania Trump do. It's a nice look, and also a graceful way to adjust the garment if one becomes too warm at am event where a coat is awkward to carry. Please someone cut Maxima's hair and give it a fresh new start. A cute, short style would improve her grooming immensely.